UPDATED: Sun., March 4, 2018, 11:26 p.m.
WALLA WALLA – No. 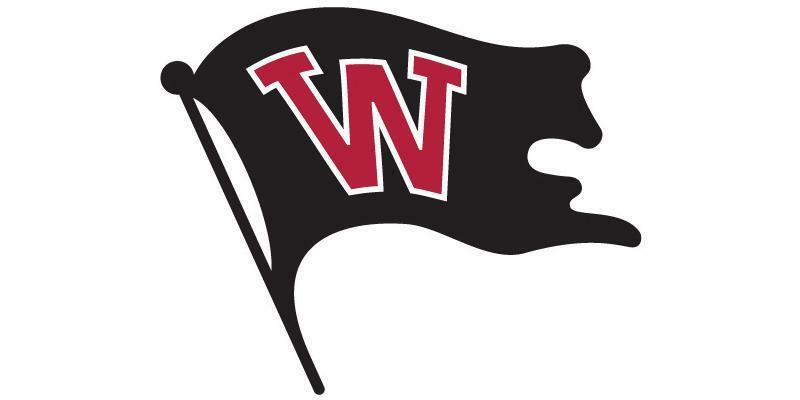 2 Whitworth entered its opening-round game in the NCAA Division III men’s basketball tournament on Friday night against Claremont-Mudd-Scripps hoping to settle a lingering score. The Stags ended the Pirates’ season with a 78-73 victory in the opening round of the 2017 tourney at Whitman College. And unfortunately for Whitworth, a similar result. Guard Michael Scarlett scored a game-high 31 points, including 13 in the final 4:42 of the second half, and the Stags defeated the Pirates 83-82. The Stags improved to 20-7 while the Pirates ended up 24-4. Whitworth held its last lead at 69-68 with 3 minutes, 16 seconds remaining in the game. CMS retook the lead and had a five-point cushion at 76-71 after Scott Lynds made two free throws with 41 seconds remaining. Two free throws by Scarlett gave the Stags a 79-72 lead with 14 seconds left. As Whitworth fouled to extend the game, the Pirates made a series of shots as the clock wound down: 3-pointers by Isaiah Hernandez and Ben College; and a layup by Kyle Roach. Roach’s layup made the score 81-80, then Scarlett made a pair of free throws with .4 seconds remaining for an 83-80 CMS lead. Whitworth’s Jared Christy scored a layup off a length-of-the-floor pass to make the score 83-82 at the buzzer. The game was tightly contested from the beginning. Both teams had five-and six-point surges over the first 3:42 of action then the Stags built a pair of five-point leads, 15-10 and 18-13, over the next six minutes. Whitworth drew even at 20 and 23 prior to a half-ending, six-minute stretch in which the lead changed hands seven times. The Pirates’ Garrett Hull converted a drive at the 2:13 mark that put Whitworth up by six, 35-29. CMS tallied the next seven points before College beat the halftime buzzer with a left-wing triple that gave the Pirates a 38-36 edge at intermission. College increased Whitworth’s lead to four, 45-41, on a short jumper with 17:54 left before the Stags responded with a 15-6 run over the next 6:40. A Lynds’ 3 put CMS up 56-51. The Pirates scored eight of the next points to claim a 59-57 lead. Christy’s lane bucket completed the burst with 9:39 to go. Neither team led by more than four over the next four minutes plus. The two-and-a-half minutes that followed produced a handful of lead changes and one tie. The latter lead change occurred on a free-throw line jumper by Scarlett with 3:03 to go that gave CMS the lead for good, 70-69. Christy led the Pirates with 23 points. “I was excited to be a part of a game so big,” Christy said. Despite the sting of the setback, Logie expressed optimism going forward. Published: March 2, 2018, 9 p.m. Updated: March 4, 2018, 11:26 p.m.